Here's a list of skills for all back line heroes in the action RPG multiplayer online battle arena (MOBA) game - Heroes Charge. Central line Heroes specializes in long ranged combat and are very powerful due to their high damage per second (DPS), control and support skills. - Kindred: Rynn uses her mastery of natural forces to heal the whole Team. - Pilum: Rynn tosses an enchanted javelin, dealing extra magic damage to the target. - Convert: Rynn converts an enemy to her side, making them attack their own allies. - Inviolability: Rynn charms enemies, reducing the physical damage taken from their attacks. - Meteor Shower: Octavia summons a meteor shower to crush her foes nearby and deal magic damage. - Inspiration: Octavia inspires her allies, boosting their attack and movement speed by 25% and increasing attack and magic power. - Overdraw: Octavia embues one of her arrows, causing added magic damage and dizzying effect. - Motivate: Octavia encourages her allies, giving the whole Team increased Agility. - Void Gate: Sarla teleports the enemy with most HP to another dimension, dealing magic damage to him. - Dark Agony: Sarla imposes dark curses on a random enemy, causing him to lose HP over time. - Magic Aid: Sarla transfers part of her HP to the weakest ally. - Magic Territory: Reduces all enemies' magic resistance. - Sun Wrath: Apollo calls forth the sunlight to burn enemies within the range, dealing magic damage and disrupting them. - Solar Power: Apollo pours a sunbeam into a random ally and recovers his energy. - Rebound: When Apollo casts this skill, the damage he receives during the skill time will be partly reflected on the enemies. - Return: Apollo gains the healers bonus energy when he receives certain healing skills. - Lightning Incarnation: Lightning Spirit loses his physical form and shuttles through the battlefield, dealing magic damage to nearby enemies, during which he is immunized against any control skills. - Lightning Remnant: Creates a lightning remnant and deals magic damage to nearby enemies when the remnant explodes. - Overload: Lightning Spirit becomes overloaded with electrical energy when he casts any of his skill, dealing magic damage to nearby enemies in his next attack. - Electric Intellect: Lightning Spirit increases his own intellect. - Trance: Monica manipulates the battlefield by putting all enemies into a trance and deals magic damage to them. If an enemy cast any active skill during the trance, he will be stunned. - Mark of Fate: Monica marks an ally of the most HP and forces all enemies to attack him. The ally also gains armor bonus. - Magic Fury: Monica knocks back up to 3 enemies and deals magic damage to them. - Mysterious Aid: Monica increases the whole team's magic crit by the mysterious aid. - Shockwave: A chargeable attack that deals magic damage to all enemies in front of him, the longer the charge, the greater the damage. While charging, tap on the Hero's icon, and you will be able to instantly end the charging and cast the spell. - Harmony: Korrick grants additional energy to one of his allies with most energy. This skill will not be cast on allies with full energy. - Blind: Korrick summons a powerful burst of light to deal magic damage and blind the target, reducing their physical attack accuracy. - Balance: Korrick uses his halo to increase magic power for the whole Team. - Firebomb: Rexus launches a firebomb behind enemy lines, causing widespread physical damage. - Hellfire Missile: Rexus launches a missile with powerful physical damage and stunning effects to back line enemies. - Air Strike: Rexus strafes enemy lines, causing widespread damage to all enemies. - AP Ammo: Rexus uses high potency missiles and increases his armor penetration. - Acid Splash: Rosandriil spits out a gout of acid, damaging the enemy of highest HP over time. - Toxic Spit: Rosandriil spits out a glob of toxic venom, causing magic damage to enemies and corroding their armor over time. - Salve of Resistance: Rosandriil uses her own venom to create a barrier against magic damage. - Envenom: Rosandriil coats his weapons in venom, increasing his physical attack damage. - Blast Shot: Fires a flaming arrow to deal bonus physical damage. - Poison Shot: Punchinello increases his attacks speed temporarily. - Embrace of Shadows: Punchinello hides in the dark then strikes without warning, increasing his critical chance. - Sacrifice: Mala bends reality, swapping places with an enemy and casts Kinetic Bolt of she has learned the skill. - Kinetic Bolt: Mala fires an arrow made of magical energy at an enemy, dealing magic damage and making them dizzy. - Inspire Terror: Mala forces foes over a wide area to live their innermost fears, dealing magic damage and reducing their armor. 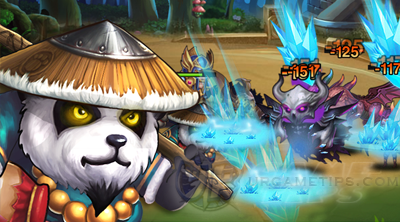 - Rally: Mala inspires her allies, increasing their physical attack damage. - Life Swap: Rana transfers a random enemy's HP to one of her weakest allies. - Disruption: Rana uses her enchantment to disrupt enemy formation, exchanging the positions of two random enemies. - Fatal Pulse: Rana reduces all enemies' armor and magic resistance. - Enchanting Bash: Rana's normal attack has a chance to stun the enemy. - Laser Cannon: Prime fires a dazzling laser, causing massive magic damage. - Stimulant: Prime sacrifices 20% of his HP to boost his attack damage and speed. - Open Fire: Prime keeps loading his weapons to give bonus damage. - Penetration: Prime's bullet penetrates enemies' armor and deals extra damage. - Arrow Rain: Reina fires multiple arrows into the air in a high arc, damaging multiple enemies. 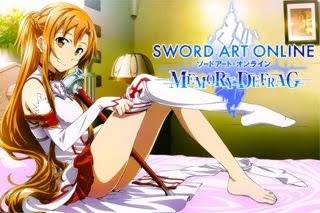 - Icespark: One of Reina's arrows is encased in a blade of ice, damaging and slowing her target. - Silence: Reina silences a group of foes, making them unable to use magic. - Forest Rage: Reina increases the attack power of the whole team. - Sniper: Perrin takes a shot at the weakest foe, dealing massive physical damage. - Stunning Shot: A special round that causes physical damage and leaves the target reeling with dizziness. - Fulminating Shot: A magical, grenade-like projectile that deals magic damage to several enemies. - Agility Boost: Perrin focuses his reserve energy, giving him an agility boost. - Windstorm: Summons a small windstorm and throws enemies into air, dealing magic damage. - Vortex: Creates a vortex and heaves the nearest enemy, dealing magic damage. - Forked Lightning: Conjures forked lightning and attacks 3 random enemies, dealing magic damage. - Wind Arousal: Storm Lord develops his arousal from wind and increases his intellect. - Gale Force: Sarra uses wind-enchanted arrows to deal magic damage and knock back enemies in front of her. - Concussion: A magic constraint that deals magic damage and dizzying effect. - Hailstorm: Sarra fires off several arrows at her target in rapid succession. - Wind Dance: Sarra uses her wind-dancing techniques to easily dodge and evade attack. - Evil Balls: Medea summons 3 evil balls and resists incoming damage for 3 times. Each ball deals magic damage to the attacker when exploding. - Sorcery Vortex: Medea creates a sorcery vortex and deals magic damage to enemies within a large area. - Witchcraft: Medea curses enemies, dealing magic damage and blinding them. - Witch Blessing: Medea is blessed and increases her own intellect. - Fatal Ward: Vic summons a fatal ward to attack enemies, dealing continuous magic damage. - Mystic Healing: Vic focuses his witchcraft to heal nearby allies. - Ancient Curse: Vic targets a small area with an ancient curse. Cursed enemies will lose HP over time and takes 10% physical and magic damage bonus, lasting 8 seconds.